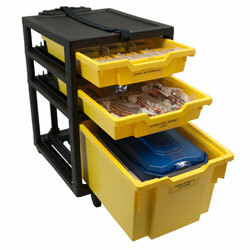 4 Shallow, 4 Deep, 4 Extra Deep and 4 Jumbo Tray Unit (4 columns of 4 slots). 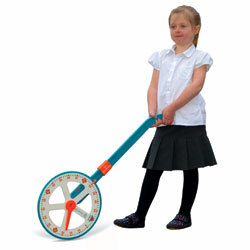 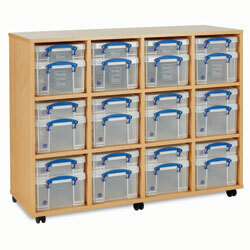 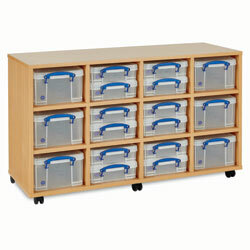 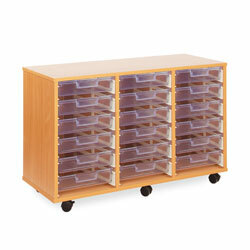 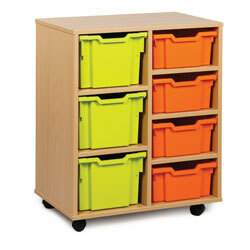 Delivered fully assembled complete with Gratnells trays and castors. 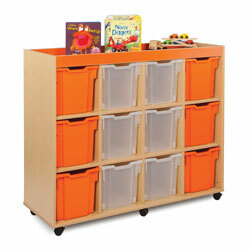 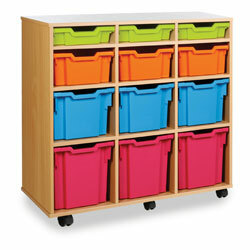 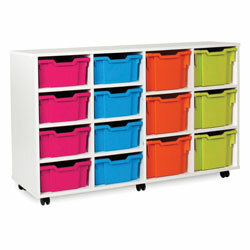 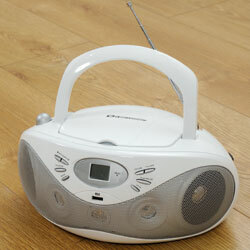 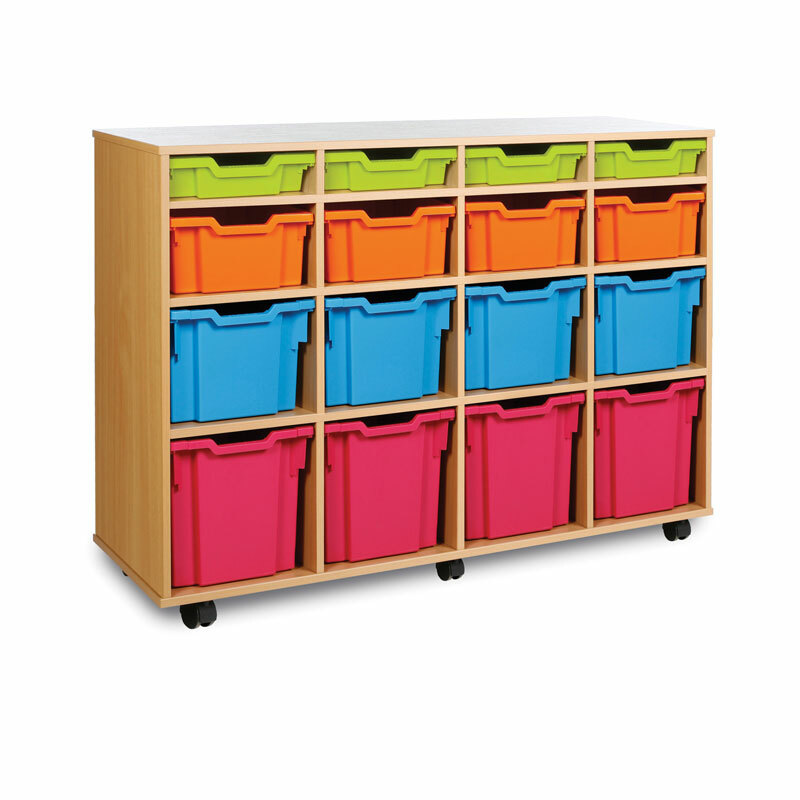 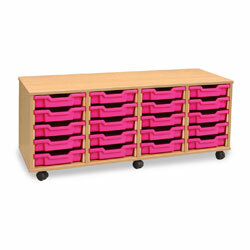 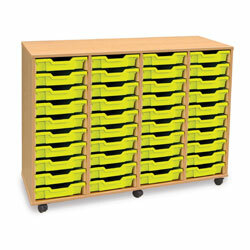 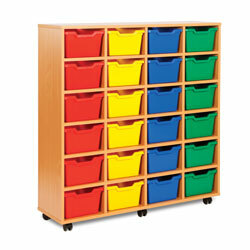 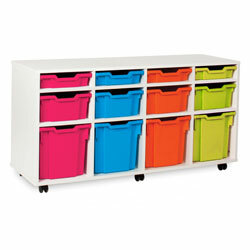 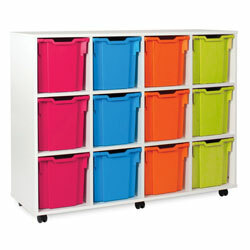 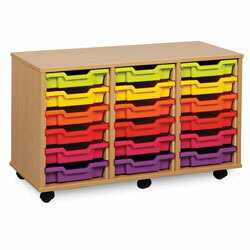 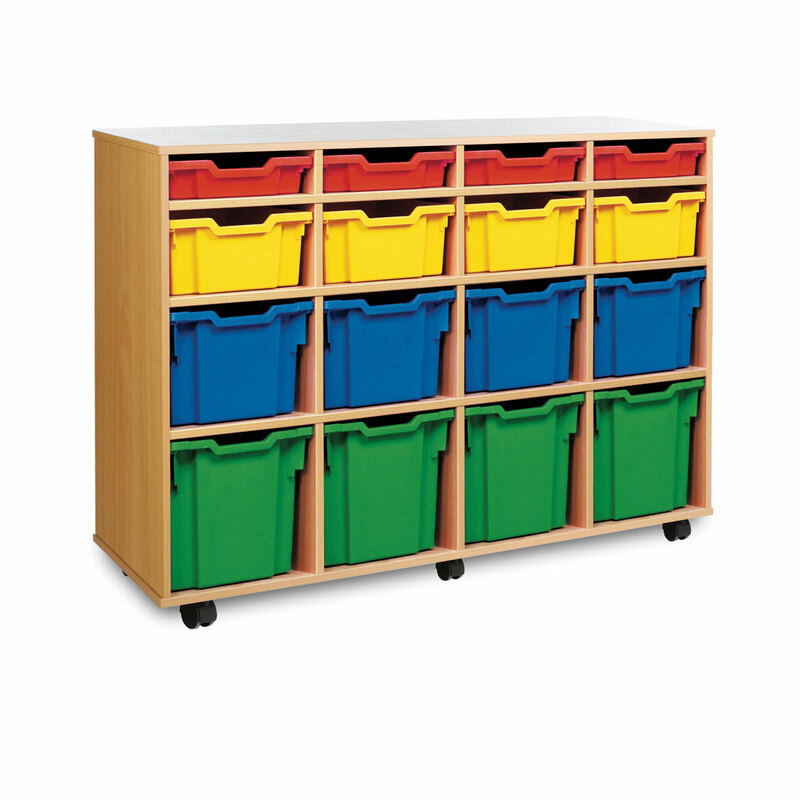 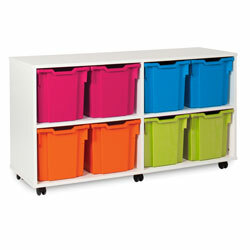 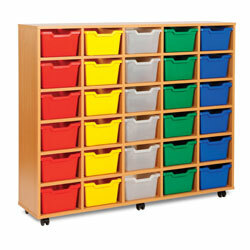 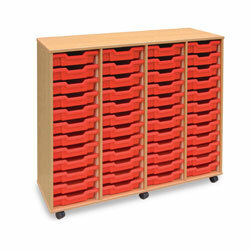 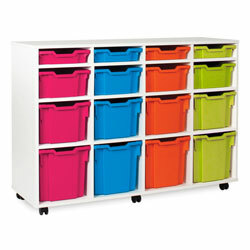 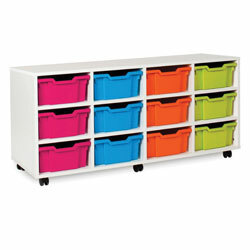 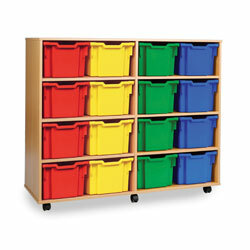 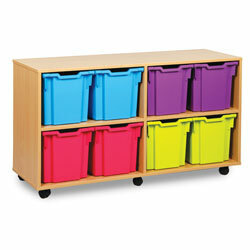 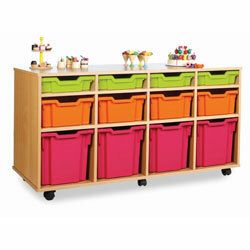 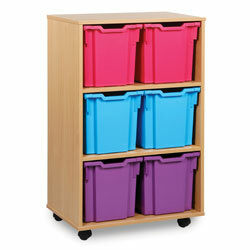 Units are manufactured in beech melamine faced chipboard. 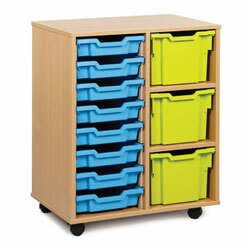 Delivered fully assembled complete with Gratnells trays and castors. 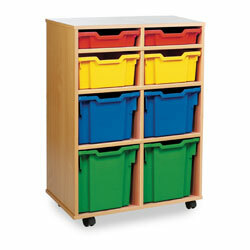 Units are manufactured in beech melamine faced chipboard. 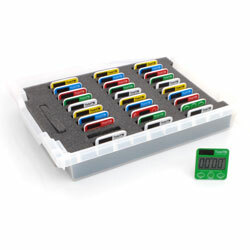 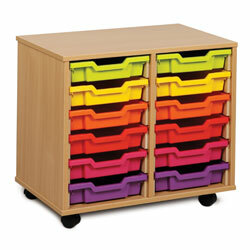 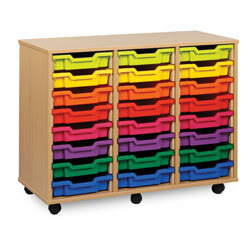 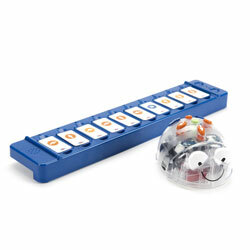 You can choose any combination of the 17 Gratnells tray colours available.